This morning the Fort Fido crew met up with Abbie for her Assessment. She is a super cute and spunky, five month old, twenty-four pound, Border Collie Mixed Breed. We escorted Abbie to the Medium Roll, knowing it would be the perfect fit for her. Although she is small, she has Border Collie in her, making her energy filled and quite tough. Once she entered the Play Area, Abbie was interested in exploring it, and seemingly eager to be introduced to some canines. We had her meet with Edna and Louis right away... As expected, due to her disposition and age, Abbie was very submissive, yet met with the other canines in a decent manner. Play is the name of this young dogs game! After some quick sniffs, Abbie, had Edna and Louis whipped up into a frenzy of play and "chase me" games, too fun! Abbie is most welcome here at The Fort. 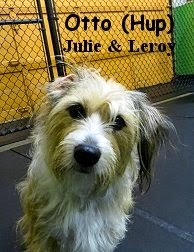 We believe that she can get a lot out of Dog Daycare, and will continue to thrive here. Nicely done Abbie, let's continue to hone those social skills! Carlos struck again with another rad piece of artwork! This time he captured Bounce, who had been staying with us for Overnight Boarding last week. Way to go Carlos, thank you! Please Checkout our latest upload, where David discusses one of our most favorite canine products, Musher's Secret. It isn't, but I think Musher's Secret's slogan should be "Strong enough for a Cat, Made for a Dog" hahaha! The Belgian Malinois: The dog the White House didn’t use on fence-jumping intruder I'm shocked they didn't "let 'em rip". KLM's Sherlock Dog is an adorable lie Yup, yesterday's awesome video is just an ad campaign, sad but true lol. Dog sings along with banjo Now here's a real genuine Beagle Video haha. Hilarious Photos Capture the Complex Emotions of the Wet Dog This was most definitely the best thing I found today, take a look, it's totally hilarious. Puppy goes viral in Bud's anti-drunk driving ad Good message but dang, that dog had to really hold it! "Dog Noodles" are now available for dogs in Japan For now, I'm gonna pass on these for Gibson... He doesn't use chopsticks very well. Practice pet owner etiquette: Keep Fido in check at area dog parks Sometimes it feels like folks don't do this nearly enough. To our YouTube Channel. In this video, David talks about the awesome and ever-so-popular "Antlers", or, "Antler Dog Chews". Check it out! Also, my favorite thing about the Antler Chews, is that they don't stink or stain the carpet... Just don't step on one in the middle of the night lol! In other news, I just stumbled upon this absolutely outstanding YouTube video. It is of a Beagle that works for an airline, returning lost items to customers. This is a must watch little video that is truly wonderful. One of Fort Fido's newest employees, Carlos, is learning a lot here and has been doing a great job so far. When he applied for the job, he put "Drawing & Animation" as one of his special skills, on his application... He was not kidding! Behold this most entertaining and awesome piece he just drew, titled, "First and Last Day On The Job". All of our jaws dropped here at The Fort when we saw this one, outstanding! Keep up the good work Carlos, and thanks for the artwork. Please welcome Otto to The Fort! 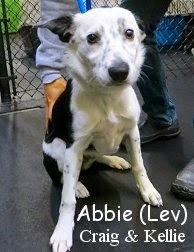 He is a rascally looking, two year old, thirty-one pound, tan/ multi-colored, Bichon Frise/Rat Terrier/ Border Collie Mixed Breed. Otto strolled into the lobby this morning with his nose to the ground, curious about our place, and ready for his assessment day. After entering the Medium Roll Play Area, Otto got straight to introductions, meeting with the pack healthily. He's a fun-loving canine that has pretty darn good dog-communication skills. Most awesomely, Otto began to play within minutes of his arrival, he "got down" with the likes of Lucky and Cayenne, among several others. Otto shall prove to be a great addition to Fort Fido, because he is a kindly dog that enjoys being with the pack. We most definitely look forward to his return. Out there in the "Dog World". Found today, enjoy! Can The Placebo Effect help your dog's Separation Anxiety? Teach an Old Dog new tricks! Here's one of Blue doing what she does best... Taking on the whole pack in a game of wrestle-play lol! Two great ones of Reilly and Theodore, these two "bash brothers" can really get to playing fast and furiously, but it's all in good fun of course. Last but not least, this is a shot of two of our youngest Big Rollers having a good time, Douglas and Hailey. Saturday's Harbor Hounds event was a great success with stunning weather! The Fort crew met a ton of neat dogs and chatted with many nice folks. Our raffle was also quite successful, the winner of the goodie-filled Fort Fido basket was, Penelope Barrow. Way to go! This morning we welcomed Snow & Kelly to the Fort. 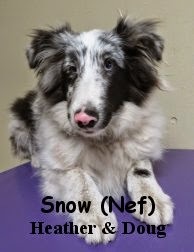 Snow is a 20 week old, 13 pound, Blue Merle Sheltie. Kelly is a 20 week old, 16 pound, Black & White Sheltie. They joined the small pack this morning, and had a great time. They enjoyed mingling with the other members of the pack. They both had a great first day, and are welcome back anytime. We hope to see them again soon. If you are out and about this Saturday, please join us for the Rotary Club of Gig Harbor Midday's 12th Annual Harbor Hounds Dog Walk. This fun-filled event benefits the Prison Pet Partnership Program, and several other charities supported by the Rotary Club. Fort Fido will have it's booth setup, at the semi-new, and most beautiful, Donkey Creek Park. Stop in and say hello! The walk spans a long stretch of the Harbor, from Donkey Creek Park to Skansie Brother's Park. The event is from 10:00 am to 3:00 pm. You can register online or in person. There is a lot of Dog-goodies and swag to collect, as well as several cool events to see. The Fort will be raffling off an awesome basket per usual, so be sure to purchase a ticket, all proceeds of our raffle benefit the Humane Society of Pierce County. This morning we assessed the handsome Chili. 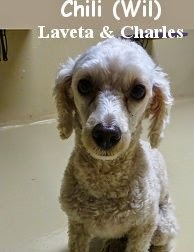 He is a three year old, eleven pound, apricot/white colored, Toy Poodle. Chili wasn't quite sure what to think of The Fort at first... He followed us up to the Little Roll play area and entered without a hitch. After exploring his new surroundings for a bit, Chili met a few of the Small dog pack members. He sniffed and greeted them properly, seemingly comfortable with the situation. Over the course of the morning, more little dogs showed up, and Chili became a part of the twelve-dog-pack. Although we didn't see much play out of Chili today, we wouldn't be surprised if that changes after a few visits... Especially given some time and consistency. All in all, Chili is one nice and good looking canine, he is most definitely welcome to hangout here at Fort Fido anytime. Nice first day Chili-man, ya did just fine! P.S. Anyone remember the cartoon character "Chilly Willy" lol? I sure do, he used to crack me up back in the day! Some entertaining dog-links found today, enjoy! What exactly goes on inside your dog's head? Researchers trying to find out. Is Dog Spit cleaner than People Spit? Get a load of Xu, pronounced "Sue". She is a energetic, three month old, about 20 pound, copper colored, Golden Retriever. This striking golden gal leaped into the Fort Fido lobby, ready for a morning full of excitement. A young canine, Xu is here to get out some energy and learn how to socialize properly. She is the perfect age to start Dog Daycare! As expected, Xu got to playing and socializing with the Medium Roll Pack, within minutes of her arrival. She enjoyed romping around in the play area with Lucky, Ruby, and several others. Puppies sure do great here at The Fort, and we love having them... 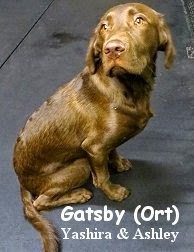 They get in early, learn the ropes quickly, and thrive, growing into well-versed adult dogs. 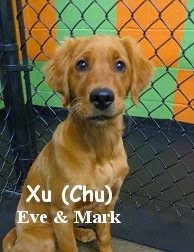 Xu, we are looking forward to helping you hone your canine communication skills and watching you grow. We'll see you around soon, welcome! Here are a few snippets of Xu in action, enjoy. This morning we welcomed two new members to the Fort Fido pack. 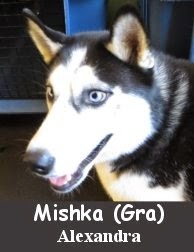 First up is Mishka, she is a 1 year old, 55 pound, Siberian Husky. She came in ready for the action, and played with anyone who was up for it. 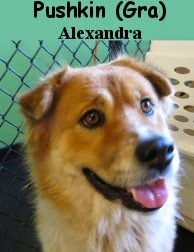 Next up we have Pushkin, he is a 4 year old, 45 pound, Akita/Chow Chow mix. He did great for his first day, and enjoyed mingling with the pack. They are both welcome back anytime. We look forward to seeing Mishka and Pushkin again soon. This morning The Fort welcomed the clever, Riley, in for his assessment. 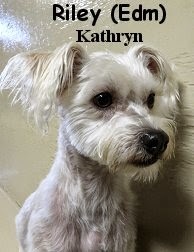 He is a two year old, about 10 pound, white colored, Miniature Poodle and Terrier Mixed Breed. This sharp looking and wiry little fella, headed upstairs with us, to try the Little Roll Play Area on for size. Once therein, Riley met up with the polite Buzzette, followed by introductions to the "Papillion Twins". As the morning progressed and the Little Roll's pack grew in size, Riley continued his care-free contentment. Having pretty good canine communication skills, Riley met with the other dogs easily and readily socialized with them. 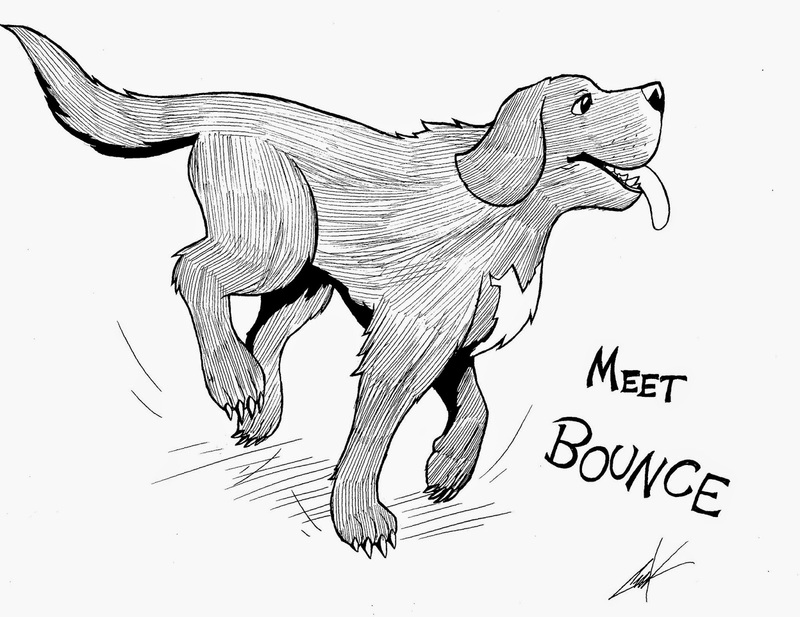 He is particularly fond of "chase games", which are a perfect activity for him here. First rate job today Riley! You are welcome at Fort Fido. Meet Josephine! She is a nine year old, twenty-five pound, cream colored, brown freckled, French Bulldog. Josephine came in bright and early this morning, more than ready for her assessment day at The Fort. Once she got into our Medium Roll play area, she was quick to explore it, curious to meet some other canines. As time passed and the pack grew, Josephine greeted the other dogs, meeting with them in a healthy fashion. It's pretty obvious that she has played with a few dogs in her day. The social Josephine acted cool, calm, and collected here at Fort Fido, and really seemed to enjoy herself. For a more mature dog, she did quite well, getting in a fair amount of playtime. Josephine is most welcome anytime and we'd love to see her again soon. Here are three little clips of Miss Josephine in action. 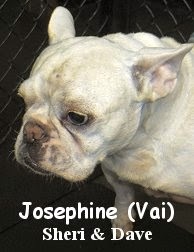 It's funny, like many of our French Bulldog friends, Josephine, does some hilarious "jumps"... I think they are her way of initiating play, cute stuff. As school begins and fall approaches, The Fort becomes busier and busier. With that said, I'd like to take a moment to note a few things about our payment system. Please be aware that being paid for in advance allows you to get the best rate, and makes for much more timely transitions, while dropping off or picking up your dog. We do are best to accommodate you when you arrive, however, as you all know, sometimes we just "get slammed", with a lobby full of canines and customers lol. We apologize in advance, for if we are ever unable to help you at a given moment. The safety of our Fort Fido pack, is at all times, our number one priority. Thank you for understanding and bearing with us! -Payment is due at the time of service. -Keep in mind our very easy and fair cancelation policy. -Pick up your pet on time, don't bother getting caught up in the "One Dollar Per Minute" late fee. If you know you are going to be late, just call us before 7:30 PM and have your pet do a last minute overnight stay. It is cheaper and much better for all of us involved. -Yes, cancelation is easy, call us at 253-460-0299 or email us at info@fortfido.com to do so. -To get the best rate, pay for and schedule your daycare days on a weekly basis, being sure to pay for "your next week", on the evening of your last paid day. -Many folks have a very set schedule and pay for the month. Paying for the month doesn't save them any money, however, it makes things convenient for all and is easy to do. If your schedule allows it, we highly recommend paying for the month. Also, you are never charged a drop-in-rate on the first of the month. -To get the very best rate, take advantage of our half day. Which is five hours of daycare anytime and any day for just $20. When you arrive, check your time and confirm it with us, noting that, if you are over the five hour mark, you will be charged a drop-in-rate. Being on time for the five hour mark is your responsibly. -Got a hectic schedule? Sick and tired of constantly switching days around at The Fort, and making separate payments all of the time? Don't like getting charged for drop-in-rates? If you answered, yes, to any or all of these questions, then "The Package Deal" is for you. It allows you the freedom and flexibility to drop off your canine companion for daycare, at anytime, on any day, without being charged a drop-in-rate, and without the need to schedule or cancel days. When we see the "whites of your eyes" we take one of your days out. It is as easy as that and it works out beautifully. -Do not worry about us being full... We are not at this time. In the event that a play area, or our whole facility looks as though it will be full, we will let you all know ahead of time. Before you show up and are denied. We will especially let our "Package Deal People" know right away, but again, this is not the case at this time. We currently have availability for all dogs for Daycare and Overnight Boarding. -At this time, we accept all forms of payment, minus American Express. -Feel good about brining your dog to Fort Fido, remembering that they are safe, and getting the most out of their stay with the pack. Happy Labor Day! I hope that everyone's weekend was just as good as today is. Keep on relaxing, make sure to have lots of fun today (just like these doggies are), and enjoy the weather (while it lasts)!